Peanuts® appeal to every generation with simple everyday wisdoms, wit and unique perspective on life. Enduring icons like Snoopy and Charlie Brown, Peanuts has made an indelible mark on popular culture. Happiness is......the Peanuts gang!! DEPARTMENT 56 PEANUTS VILLAGE "CHARLIE BROWN'S HOUSE"
Coordinates with 6001196 A Root Beer Toast! 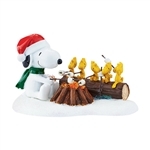 Department 56 Peanuts Village Snoopy Dancing! Plays famous version of “Linus and Lucy”. Just like in the Holiday Special, Snoopy and Schroeder find it hard to rehearse so Snoopy dances on the piano. Adjustable volume control. Department 56 Peanuts Village A Root Beer Toast! 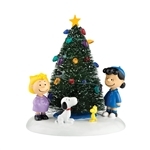 DEPARTMENT 56 PEANUTS VILLAGE "GETTING READY FOR CHRISTMAS"
Size: 5.1" x 3.35" x 4.3" In stock soon. Order now to get in line. First come first served. 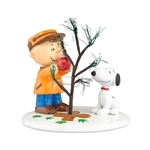 DEPARTMENT 56 PEANUTS VILLAGE "LUCY IS IN"
Size: 4.1" x 2.4" x 4.1" In stock soon. Order now to get in line. First come first served. DEPARTMENT 56 PEANUTS VILLAGE "PEANUTS PAGEANT"
Size: 3.34" x 2.4" x 2.6" In stock soon. Order now to get in line. First come first served. 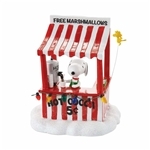 DEPARTMENT 56 PEANUTS VILLAGE "HAPPY HOLIDAYS SNOOPY AND WOODSTOCK"
Size: 2.2" x 1.77" x 1.4" In stock soon. Order now to get in line. First come first served. Size: 2.76" x 2.76" x 2.76" In stock soon. Order now to get in line. First come first served. 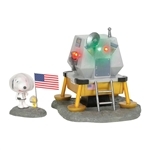 Size: 3 x 1.5 x 2"
" 4.13 in H Coordinates with 4053567 Snoopy's Cookie Jar In stock soon. Order now to get in line. First come first served.